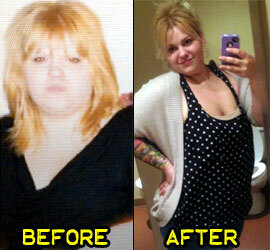 Pounds or Inches Lost: I have lost 55 pounds so far! I’ve always been overweight, except when I struggled with an eating disorder in high school and lost 160 pounds in about a year. My kids, and not wanting to spend a fortune on ugly clothes anymore! I stopped eating junk food all the time. I limit carbs, sugar, dairy and meat. Stalls in losing weight. Seeing no weight loss for 2 months while still eating well everyday is frustrating. I’m still losing! I’m planning to lose about 60 or 70 more pounds. It hasn’t really. I feel a lot better on a day-to-day basis though. Just stop eating junk. Eat as clean as possible and do something you love to get you moving. 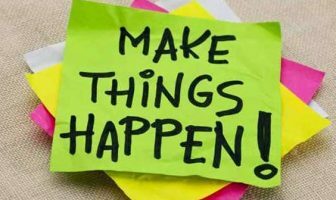 Reading other ShapeFit weight loss success stories definitely helped! 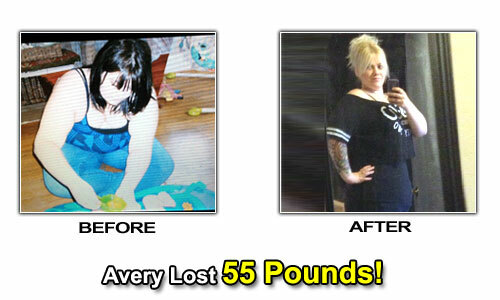 Avery’s Weight Loss Eating Plan! Cucumber salad, veggies, Lean Cuisine (not often). Stir-fry with veggies and lean chicken, salad. Greek yogurt, nuts, berries, cheese (on occasion). CoQ10, vitamin D, chromium, green tea extract, CLA, green coffee bean, vitamin B12, vitamin B50 complex, apple cider vinegar, multivitamin. 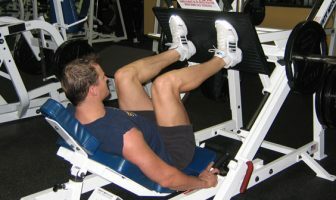 I strength train with 5 or more sets of 8-10 reps using different exercises with 35 pound weights.